Varipadam Engineering Pvt Ltd is providing switchboard design and drafting service to panel manufacturers from 2007. Understating customer requirement is one of the most important steps to provide proper and accurate design documentation to get approval from reputed consultants like EIL, Mecon etc. Most of the panel manufactures do not read complete technical specifications and prepare improper drawing and waste more time to get approval from customer and consultant. To avoid such situation, some manufacturers repute experienced design engineers to their organisations. This increases the cost of engineering. Easy way to resolve this issue is outsourcing design and drafting services to some experienced organisation. Such type of outsourced service providing company engineers are frequently updating their knowledge and they allot proper time to read consultant technical specification and prepare design and drawing preparation activity as per specification. Critical equipment (such as ACB, MCCB, Numerical relays) selection is another major problem in panel manufacturers. Outsourced design service proving experienced organisation engineers are mostly updating their knowledge in switchgear equipment. Engineering design drawing preparation is always initial stage of all projects. Good starting is always half completion. 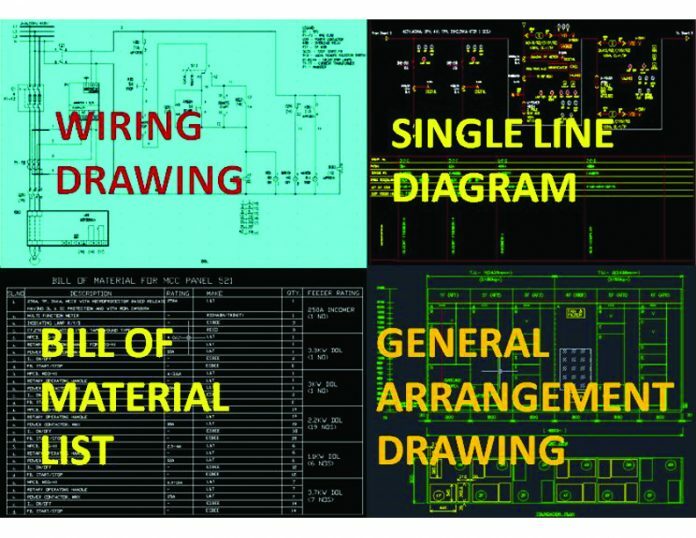 So, accuracy of engineering drawing is the most important for perfect project works.